CHONGKOL (JOHN) SETTHAKORN is one of the leading pioneers in creating and teaching a modern curriculum of Northern style ancient Thai Massage. For twenty years, Chongkol has taught people from all over the world. In 1992, he founded the International Training Massage School (ITM) in Thailand to promote the Thai massage technique internationally. The Milne Institute offers a complete, in-depth training in the heart of listening, a visionary approach to craniosacral work. Visionary Craniosacral Work ™ is a soothing, noninvasive, hands-on therapy. Developed by author and bodyworker Thomas Myers in the 1990’s, Anatomy Trains leads to practical new holistic strategies to improve stability, coordination, and resolve long-standing compensations in postural and movement patterns. 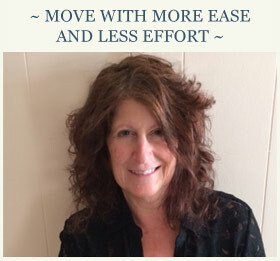 Resources in Movement is the name for a body of work developed by Caryn McHose and Kevin Frank from their experience in movement, bodywork, and contemplative traditions. The work is a blend of five aspects of movement study: Qualities of Attention; Sensory Awareness Skills and Experiential Anatomy; Evolutionary Movement; Structural Integration; and Applications. Kundalini Yoga as taught by Yogi Bhajan® is considered the most comprehensive of yoga traditions, combining meditation, mantra, physical exercises and breathing techniques. The primary objective is to awaken the full potential of human awareness in each individual. The focus is on one’s personal experience and awareness through the practice of kriya and naad. We awaken the kundalini in order to be able to call upon the full potential of the nervous and glandular systems and to balance the subtle system of chakras and meridians within the body. Ayurvedic practices restore the balance and harmony of the individual, resulting in self-healing, good health and longevity. The Ayurvedic Institute teaches the principles and practices of Ayurveda, the ancient science of life. They encourage the integration of Ayurveda by individuals into their daily living and by health care professionals into their clinical practices.